Hello Real Foodies! Today begins a new series all about quick places to grab lunch in Detroit, and is brought to you courtesy of my hubby, Mr. Real Food. For some background, my husband is a diesel mechanic/tow truck driver in the city. I pack his lunches most days but once a week he buys lunch (dinner to those of us that don’t work afternoons) His choices are usually limited by his location at the time he gets a break. We keep an evolving list of places thanks to the amazing ChowDownDetroit. (Seriously, follow him on Instagram, Twitter, Facebook you will thank me) The places Mr Real Food chooses won’t necessarily fall under the category of “Real Food” but they will be small local places instead of a big chain. Detroit is foodie paradise, so follow along with us and learn what it has to offer that is simple and quick! 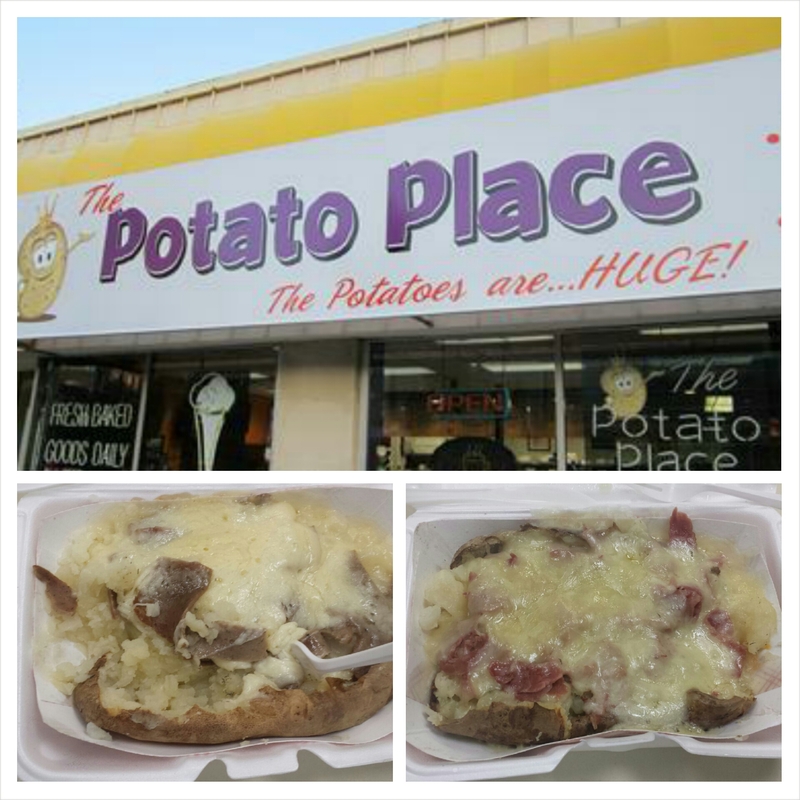 Today we are featuring Potato Place. They are located on 107 West Warren in the Wayne State area. They offer a small dine in area and giant baked potatoes with a multitude of toppings. There is also a large pastry selection and hot dogs. Shown in the above photo are the gyro and the corned beef potatoes. The potatoes were great; soft, crispy skin and the toppings were excellent. Super filling meal! Staff was very nice and the restaurant was clean.